Nor that you mention t, Juncos mainly live in North America, and are said to be only accidental to parts of Northern Europe. Thank you for commenting, Doda! Thank you! That commute was bad, but once I resigned myself to it being very slow, and thought about the birds in the snow, then it became more bearable. A sign of a resilient nature. I hope you enjoy your day(s) off! They are all beautiful, but I really want to congratulate you on the “take off” picture! Superb! These photos are absolutely adorable, Hien! 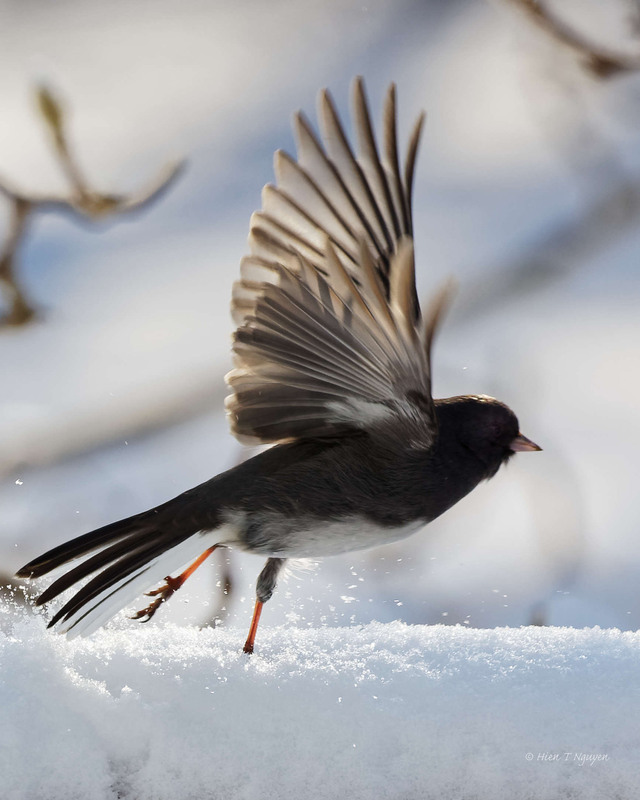 Especially the second shot of the Junco! Thank you very much Donna! 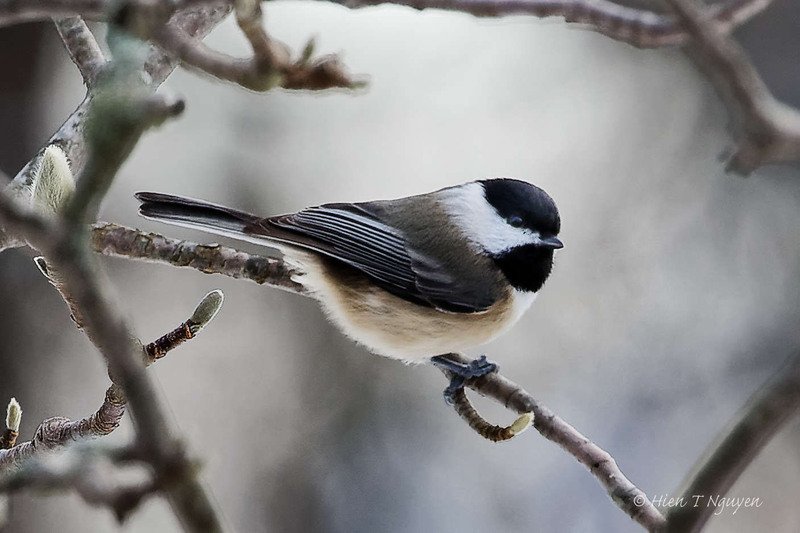 Listen to the chickadee songs to learn what time of year it is. Lovely set. Thank you Michael! Do they sing more often in the spring and summer? 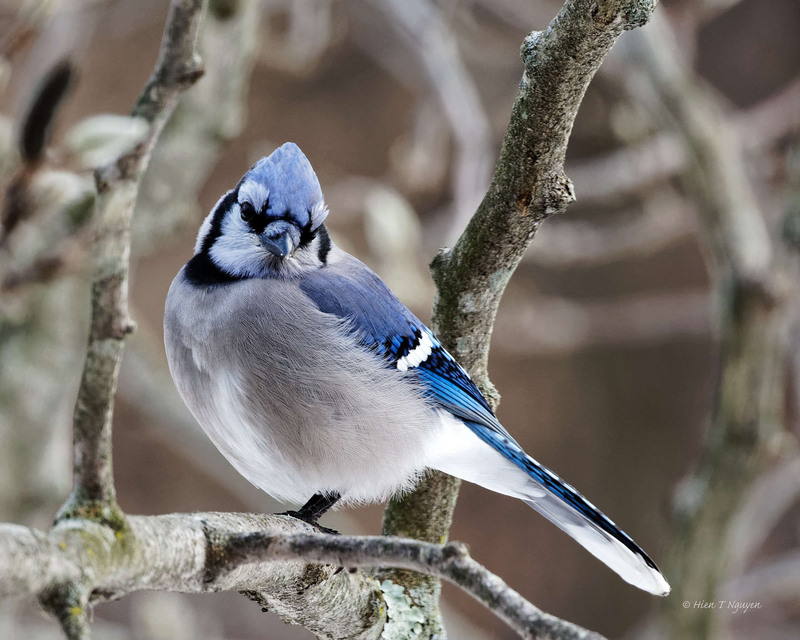 late winter Chickadees sing a song I associate with that time…..there are also the spring mating songs. 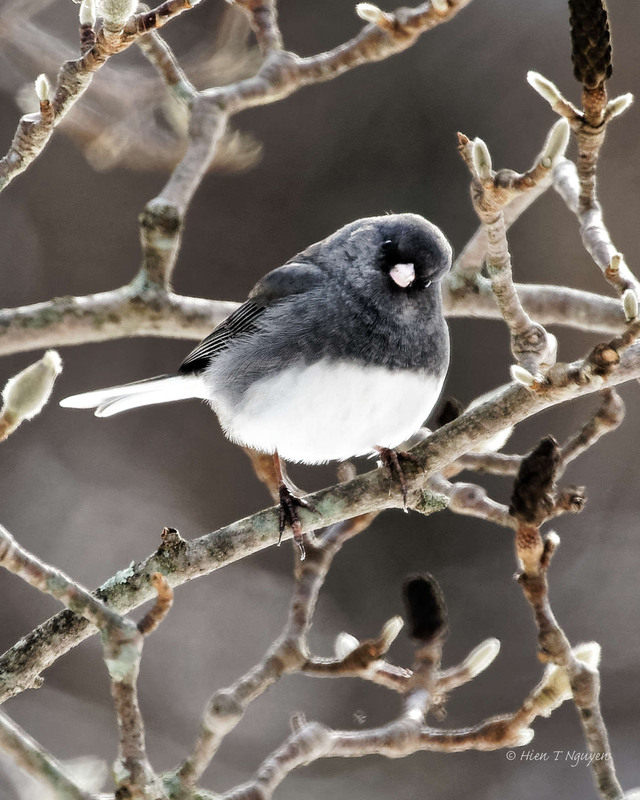 The dark-eyed Junco posing looks like grey flannel. 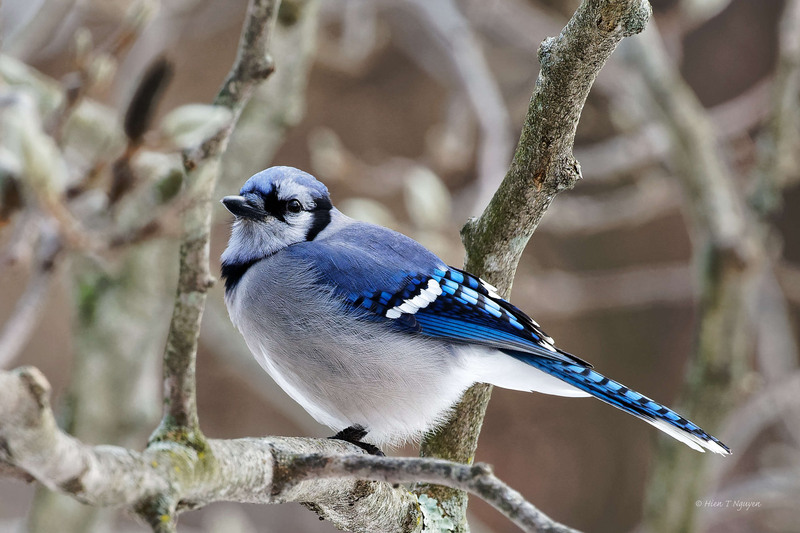 Such a pretty bird. Loved all of these very much! Such clear shots, they’re wonderful, Hien! Very beautiful pics. especially the first one.